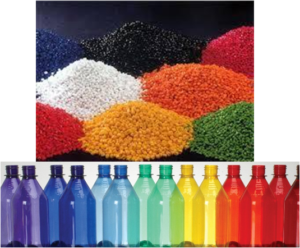 PET resin (excluding textile grade PET resin) is predominantly used for making bottles. 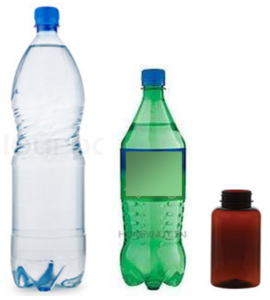 An estimated 96-97% of PET resin goes into making bottles for various applications. 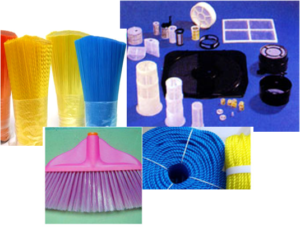 There rest is used for manufacturing sheets, straps, masterbatch, monofilament/injection molding. Even in bottling applications, there are various sub-categories based on the end use. The table below gives a break up of end uses (of PET bottles). Also given are estimated time it takes for a PET bottle (after it is filled with liquids) to reach the waste stream—one could term this ‘Factory-to-Dustbin’ time or the time it takes for a typical PET bottle for a given application to reach its consumer and for the consumer to discard the bottle into the waste stream. This table helps estimate the time a given quantity of PET, once produced, will spend in the ‘system’ before being discarded. For example, we know (from the section on Production, Consumption) that in 2014-15, 710-730 KT of PET was used up for domestic consumption. How long did it take for this PET to be used up (on an average) and become part of the solid waste stream. By doing a weighted average calculation as per the amounts used in each application and the ‘Factory-to-Waste Stream’ time, one can conclude that PET once produced spends on an average of 12-13 months to reach the waste stream. Once again, this doesn’t take into account the fact that, in Inida, particularly, there are various forms of re-use of PET bottles. For example, when someone buys a bottle of mineral water, it is used at a very minimum for a few days to a few weeks (sometime longer) for various (improvised) applications—this would extend the time it takes for the PET bottle to reach the waste stream. 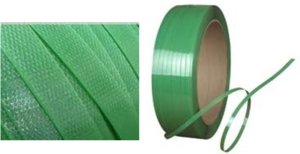 Straps: PET straps are used in packaging, baling, and for various applications in industry. A small percentage of PET produced goes into making these straps. PET straps are a convenient alternative to metal wires and other such packaging aids. Sheets: PET sheets are widely used in packaging a range of products such as consumer products, pharmaceuticals, food & beverages, engineering items. 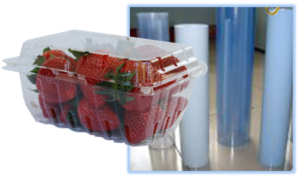 If you have bought strawberries in season, you must be familiar with the transparent packaging it come in—it is made of PET sheets. Masterbatch: A small percentage of PET is used in making masterbatches—where a high concentration of pigments and other additives are incorporated into the PET resin, and typically used to impart color into the raw polymer during the production/processing. Monofilament: PET monofilament is mainly used for making mesh fabrics for screen-printing, filter for oil and sand filtration, bracing wires for agricultural applications (greenhouses etc. ), woven/knitting belt, filter cloth, and other such industrial applications.